What is a ProdMod LED Hoop? 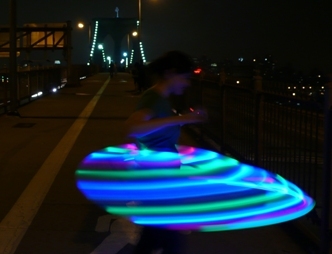 is a hand made LED Hula Hoop that is usually assembled from a parts kit. Comparable LED hoops already assembled can cost anywhere from $100 to $300. The ProdMod LED Hoop Design is unique in how easy the parts can be assembled usually without the need for resistors or soldering. The simple construction of the LED hoop keeps the quality level high even when a novice with no prior gadget making skills builds one. 3. Replaceable AA battery, alkaline or rechargeable. The hoops are made from irrigation tubing. There are many different sizes and strengths of tubing. For simplicity this description will only deal with two versions. They are both dimensionally the same but use different types of material. 0.814″ x 1″ OD x .093″ Semi-Transparent LDPE Tubing – 110 PSI @ 70F – This is more soft and flexible, makes it very easy to fold in half for traveling. IMPORTANT TUBE SIZE NOTICE! The tubing on this site are identified by their exact measurements. If you are looking for tubing similar to the 3/4″ ID 160PSI black irrigation tubing found in Lowes, common for adult hoops, then you should select the 0.814″x1″ LED tubing. This is very close to the same dimension. If you want a thinner hoop you can use 0.6″ID x 0.75″OD tubing. But you’ll need the new smaller rechargeable battery. Collapsible- The hoop can be reduced from 40″ down to about 20″ for traveling on short trips. If you use stiffer tubing I would recommend that you disconnect the tube and spiral it down to size. You can use tape or straps to keep it coiled up. But if you use flexible tubing, you can leave the hoop connected and simply twist it into a figure 8 and fold it in half. For more information on making a hoop that easily collapses into a figure 8 and folds in half please read about the new Flexible Tubing. small slide switch – flush to the hoop surface it wont get caught or accidentally trip off. Easy to Upgrade! - This open design allows you to easily add new technology that will be made available from this site in the near future: The latest high tech battery with more capacity and lighter weight, Motion sensors, Programmable patterns…. Your hoop only gets better with time! LEDs: 7 Bright Blue, 7 Bright Green, and 7 color changing. Tubing (sold separately) – 10.5 feet of semi-translucent white tubing – enough for one 40″ diameter hoop. 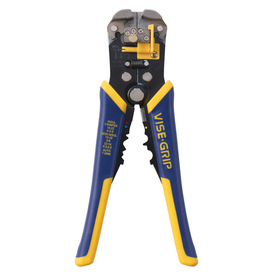 Automatic Wire Strippers – These allow you to quickly and easily remove wire insulation only where needed leaving the complete length of wire intact. This is key for a solder-less assembly. You can find these at Radio Shack or Lowes for $16.99. Stiff Steel Wire – 11 feet length- You can use this to help push the wire through your tube. Galvanized steel wire is easy to find in hardware stores. I recommend 22 or 16 Gauge thick wire. They can be purchases at Home Depot for $4 for 100 ft or $8 for 200 ft respectively. 16 Gauge is better but more expensive. You can customize your own Hoop Kit on the LED Hoop Maker Kit page. You can select some standard LEDs along with the kit or select the LEDs separately. Tubing is not available on this site but the maker kit page will direct you to a few suppliers. Spare Batteries, Accessories, and Upgrades!!! Jen from funtownproductions.com - she made hers without soldering any connections. 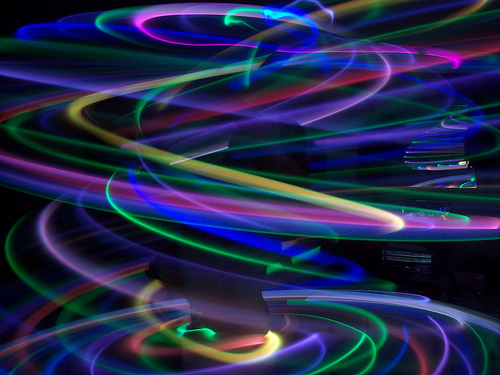 Disclaimer: I am only supplying you the parts required to make your own LED hula hoop. LED Hoop Instructions can be found here. 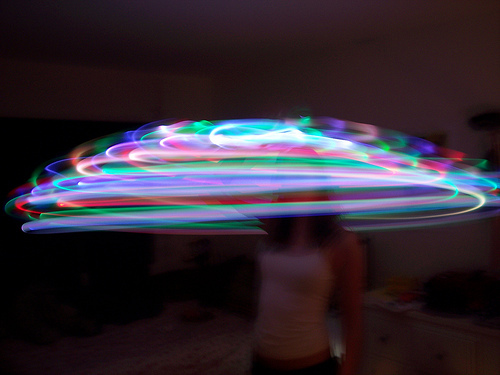 Ultimately the quality of the LED Hula Hoop is a product of your own handy work. By purchasing this parts kit you agree that you have some experience in working with these materials or will have an experienced person work with you. You also agree that I am not liable for any damage that may occur to you or this product in any way as related to this kit or any product you produce with it. Warning: When building an electronics kit, use common sense and appropriate safety precautions. This kit may require soldering. Excessive heat from the soldering iron may damage LEDs. 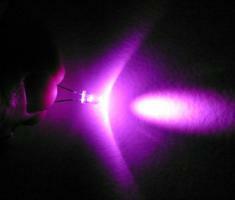 Static electricity can also damage LEDs. So do not work on a rug or carpeted floor. Ok, so I use HDPE tubing for my regular hoops and I’ve been using the 5/8″ inner diameter / 3/4″ outer diameter tubing (rated @ 123 psi, but whatever). Can I use it for LED hoops? Is that the 0.6×0.75 LED white hoop tubing you are referring to? I really wanna buy LED making kit! I make hoops from 3/4″ 100 PSI (NOT 160PSI) black tubing found at Lowes, what size of LED tubing is similar? 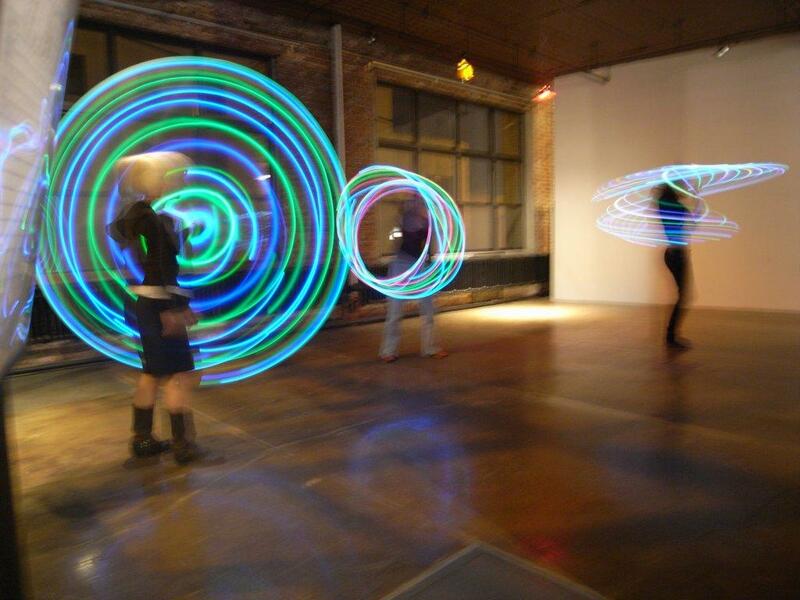 hey i want to buy one of your kits and make a hoop however i want the rechargable battery, but want the hoop to be 1/2 inch is there anyway that i could do that… in addition will the hoop look like a psi hoop; will it leave tracers? is it specifically lights that do that? If I use these led strips,what wattage of the power supply need to be? Can they work with rgb led controllers ? I am very interested in them. Just a note to any Canadians who want to order from Mcmaster-Carr, they will not ship to Canada. So you either have to ship to a USA address, or order from someone else. Try http://www.hudsonextrusions.com, they are affordable and ship to Canada. Your blog is pretty cool to me and your topics are very relevant. I was browsing around and came across something you might find interesting. I was guilty of 3 of them with my sites. “99% of blog managers are doing these 5 mistakes”. http://bit.ly/ts0ScL You will be suprised how fast they are to fix. I will send this article to him. Fairly certain he’ll have a good read. I appreciate you for sharing! I placed an order for LEDs on April 25th. I am just wondering if you can give me an update. Do you know when I should receive this order? This is the Transaction ID #1CS07176V4307444F). Thank you for your help. States tend to be poor for about 5 to 10 days, the rash appears. A good night sleep, took no pain killers before bed. Maybe he’s cutting a tooth. Somebody fundamentally lend a hand for making very seriously blogposts I would point out. Be the very first time that I personally went to your internet site webpage and up to currently? I stunned together with the evaluation you made to make this particular publish awesome. Wonderful hobby! (Electronics) I shopped for a TV stand big eguonh to fit a 61 DLP TV and I went everywhere from Wal-mart to Best Buy to Ikea (online). This is the stand to get. This stand looks amazing in black metal and black tempered glass.Wal-mart has some cheap particle board set for roughly the same price as this item. Best Buy has two classes of TV stands, those in their Magnolia section (which look great but run $1300+, I might as well get another TV) and their more moderately priced units run $299-$600. This unit still looks better than any of the stuff I saw in that section and it’s bigger. There was a really basic particle board Ikea TV stand (Lack) for big TVs for $69, but they didn’t deliver that model nor is there an Ikea store near where I live. And I’m glad there’s not because I found this gem next.This bad boy is 90+ pounds HEAVY and I really felt sorry for the sole UPS guy trying to carry it up the hill to my door but made me appreciate the fact that I didn’t have to lug a unit in my car from a nearby store.Ideally takes two people to setup for alignment purposes, but building it out is really easy and quick and the instructions are a snap. I’d probably build out the metal frame first, move it to where you want it, then put the glass on.My only concern with the stand is that one of the parts came scratched and slightly dented. Luckily it was one of the support beams that runs underneath the glass and you can’t see it anyway so I really didn’t care because I was so satisfied with the unit after it was done, but this review probably would’ve been a different story if it had been one of the visible bars. A baby’s first stool is called menouicm and it can happen before, during, our after delivery. When it happens before delivery the doctor takes precautions to make sure that the baby does not take a breath before there nose and mouth are cleaned out. When my water broke the nurse on duty warned me that she had already had her first stool and that the doctor would be very careful during my delivery. I was told that if any of the stool was inhaled during the baby’s first breath it would cause menouicm aspiration syndrome and the baby could develop respiratory problems. After her head came out the doctor told me to stop pushing and immediately pulled out suction tubes to clean out her mouth and nose. From there she continued with the delivery and thoroughly cleaned her before she was given to me and my husband. My daughter is now 7 years old and she is in perfect health!!! Your house is almost einvythreg you’ve and you will find quite a few memories and feelings attached to it . The well furnished residence shows the sense and taste of life on the owner. Right and nicely decorated home usually keeps residents pleased and lively and depicts their nature for any living. By applying only easy interior design procedures individuals could make their house beautiful. Although a lot of people make their career in interior designing by studying interior designing while then again some will be gifted with this aesthetic art that captures the nature and practicality of life at one particular location. you please drop me a e-mail? It’s really a great and helpful piece of info. I’m glad that you just shared this helpful info with us. Специализация интернет проекта крымнаш . Всем удачи в сети, господа посетители сети. Вроде бы на должном уровне. Задача ресурса коды мобильных операторов. Удачного времени суток, господа посетители сети. Храни Вас Бог, посетители сайта. Задача вебресурса колики у новорожденного . Всем нам удачи в Интернете, народ сетевой. Thanks pertaining to furnishing this sort of superb subject material. an artisanal bit buckle that has resin detail emblazoned in the center. A backup plan, if you will, and also a protection against moisture build up. What a fastidious YouTube video it is! Amazing, I loved it, and I am sharing this YouTube record with all my colleagues. I do trust all of the ideas you’ve offered on your post. They are very convincing and can certainly work. Still, the posts are very short for novices. to produce a good article… but what can I say… I procrastinate a lot and never manage to get nearly anything done. My name is Bentley. And I am a professional academic writer with many years of experience in writing. My main focus is to solve problems related to writing. And I have been doing it for many years. I have been with several organizations as a volunteer and have assisted people in many ways. I’m happy that I`ve already sold several copies of my books in different countries like Canada and China and others too numerous to mention. I also work in an organization that provides assistance to many students from different parts of the world. Students always come to me because I work no matter how difficult their projects are. I help them to save time, because I feel fulfilled when people come to me for professional help.